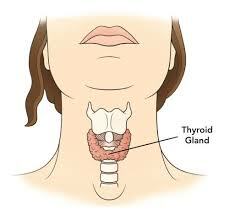 The thyroid gland, found in the neck, is essential for energy production and weight balance. The thyroid produces thyroid hormone, which is required by EVERY CELL in the body to make energy, be it brain cells, muscle cells, liver cells- every cell is fueled by thyroid hormone. 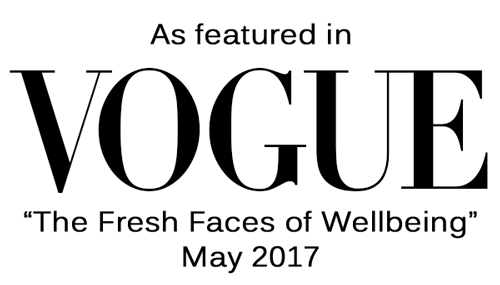 If your thyroid is under functioning, you will feel constantly lethargic, deeply tired, cold when everyone else is warm, your hair may be falling out, your eyebrows will thinning at the outer edges, you’ll find it really hard to lose weight and you may well be rapidly gaining weight despite eating as normal. There are many, many reasons why thyroid hormone may be low in the body. It can simply be a lack of certain nutrients (see below); it may be that you are so overly stressed and worn out that your brain has told your thyroid to turn down output in an attempt to slow you down; it could be that your thyroid is producing enough of the main thyroid hormone T4, but T4 is not an active hormone. It needs to get activated into T3 by the liver and if your liver is under-functioning, you may experience hypo-thyroid. Your own immune system can attack your thyroid if you have Hashimoto thyroiditis, or it could even be that too much fluoride and chlorine in your water is blocking your thyroid from using its fuel source, iodine. So, there are all sorts of factors relating to an under-active thyroid and I’m going to start by looking at some basic thyroid care. Nourishing Your Thyroid: Iodine is a mineral that is very low in the western diet but it is the main fuel for the thyroid. If iodine is low in the diet, your thyroid is force to slow down. Iodine is found in sea vegetables like seaweed and in sea fish and shellfish. It is also readily available as a supplement in the form of kelp. However, before you mega-dosing on kelp tablets, you need to address other potential deficiencies. Without key nutrients like selenium, the thyroid cannot use iodine in the diet and if you’re selenium deficient, having lots of iodine can actually trigger thyroid issues. The thyroid also needs zinc, iron, magnesium and lots of vitamin A to function well. Just 4 Brazil nuts a day can give you enough selenium. zinc is found in seafood, especially shellfish (no coincidence this is the same source of iodine), red meat, egg yolks and pumpkin seeds. Iron is in red meat, especially organ meats, egg yolks, pulses and green leafy & brightly coloured veg. Magnesium is also found in green, leaf veg, highly coloured veg, pulses, while grains and meat.